Dr. Paul Isaac Worley, 91, passed away November 18, 2018, in Round Rock, Texas. The loss is felt by his wife of 67 years, LaRue Worley, his daughter, Paula Syring (John) and sons, David Worley (Liz) and Michael Worley (Nikki). He also leaves grandchildren Michelle MacDonald, Christopher MacDonald, Sean MacDonald (Sabrina),Margo Worley, Parker Worley, Jacob Worley, Rylee Worley, and Maddie Worley, and great-grandchildren Audrina and Coda MacDonald. Paul is survived by his brother Dan Worley (Dorothy) of Asheville, NC, sisters Reva Merryfield of Leander, TX, Retha Freeman (Bert) and Martha Ledford (Dr. Richard) of Hobe Sound, FL. He is preceded in death by his parents Ross and Ruth Worley and his brothers Fred Worley and Luther Worley. Paul was born August 19, 1927, in a farming community near Asheville, NC. After graduating from high school, he moved to Los Angeles to assist in manufacturing aircraft for the WWII effort before joining the Merchant Marines. Paul also served as a radio operator during the Korean War for the Army, achieving rank of Sergeant. Following the Korean War, he received his Bachelor’s degree from Texas Western College in El Paso and his DDS from the University of Texas School of Dentistry in Houston. Paul served faithfully as a dentist for 51 years in El Paso. He was generous and caring toward his many patients and considered each of them lifelong friends. He was a member of the Texas Dental Association and the El Paso Dental Association. Paul was a kind and genuine soul, who was quick to laugh and truly appreciated a good joke. He was an avid golfer and a collector—of unusual trinkets, vintage cars, and most fondly of pets and animals too numerous to list. And he was an intrepid bargain hunter, a known fixture at El Paso pawn shops and estate sales. A celebration of Paul’s life was held in Georgetown, Texas at Cook Walden Davis Funeral Home on Saturday, Nov. 24 at 3:00 p.m. and will be held in El Paso at Martin Funeral Home West on Resler Drive on Thursday, November 29, 2018 from 5:00 p.m. until 7:00 p.m. He will be laid to rest with military honors at 11:00 a.m. on Friday, November 30, 2018 at Ft. Bliss National Cemetery in El Paso. 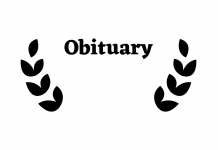 In lieu of flowers, memorials may be made to The Humane Society or charity of choice. To share condolences and memories of Paul with the family, please visit www.cookwaldendavisfuneralhome.com. Arrangements under the direction of Cook-Walden Davis Funeral Home, 2900 Williams Dr., Georgetown, Texas 78628.